Doing broker price opinion work is not for the faint of heart or for just anyone and everyone, I get it completely! Just like with any type of business or niche market there are some definite qualities and characteristics that are required of those that choose to not only do the work but to be able do it well. I would consider myself in the category of being successful at BPO’s, but not at REO’s. I will boldly and gladly be the first person to admit it too and would do so without having any regret or hesitation. I didn’t like doing REO work (after trying it out). In case you are new to these terms or acronyms, a “BPO” is a broker price opinion report that real estate agents, brokers and appraisers can do for a flat, one-time fee or for free in hopes of trying to gain a bank-owned foreclosure or short-sale type of property that is commonly known in our industry as an “REO” (Real Estate Owned) property. Over the last 12+ years (man time sure does fly) that I have been in this very special and unique niche, I’ve noticed some very specific realties and responsibilities that come with being active in the business. Thankfully, these specific things haven’t changed much as the whole industry has really evolved and blossomed beautifully during this timeframe. Let me go ahead and break down each item into more detail for ya! When I got into the BPO business in 2006, things was really just getting ramped up (with the mortgage meldown), BPO work in general was still pretty secretive and was considered a hidden gem to many real estate professionals. I thought it was my duty to make it easier for other real estate pros to get into the BPO industry and soon it became my passion, altogether. What ended up happening was that I helped thousands of fellow real estate agents and brokers become successful doing BPO work. Oh well! I think a lot of them were jealous. And ironically none of “my haters” have ever meet me in person or been a customer of mine (that I know of), so I learned to not take their criticism too seriously. My skin toughened up! To this day, I’m am really super grateful to have helped out so many other people, so that things were easier for them, than they were for me. I was in the “right place at the right time” with something that helped solved a problem for many other real estate professionals like me. I’m very blessed by the whole experience both bad and good! It’s helped make me into the savvy person I am today and in all honesty it helped pull me out of poverty and being a single parent that had been on welfare. Over the next few years, from 2006-2010, I really saw a massive explosion in the industry not only in the numbers of real estate professionals getting into the secret BPO and REO marketplace, but I also saw the companies that provided the work blow-up as well. It was a sight to see and the buzz in the industry was electric! It still is in fact but just not at the same level as it was back then. Let’s move on! Just like playing a game or sport, you are going to have competition and the only correct way to handle it, is to know all about your top competitors, both in and out as much as you can. You should dedicate a little time in the beginning of your career (and when things are slow so you continue to educate yourself) to this but not too much time as it would distract you from your own business mind you. Then, put all of your time, energy and focus into yourself and your business. As you can imagine when I was actively doing BPO orders, I had to make sure that my business was thriving, so I strategically did things like registered with all of the top companies that had the best reputation and highest volume, I made sure my fee that I charged was competitive (I played around with it and tested it too as well as found the threshold), I started hiring help and formed a team and then grew to cover more areas. I started firing and stopped working for companies that didn’t treat me well, that didn’t pay well or had too strict of QC rules. Man that felt great! I also, eventually set a minimum price for what I was willing to take to do an order. I won sometimes and I lost sometimes. I learned the “rules of the game” and then played them to my advantage. Just like in life, there are no guarantees, of course the same logic applies to BPO work. We’ve all heard that saying! It’s a great one and on point. Plus, there are a lot of things in this industry that you can’t and won’t be able to control, you have to have or get thick skin quickly to really succeed. 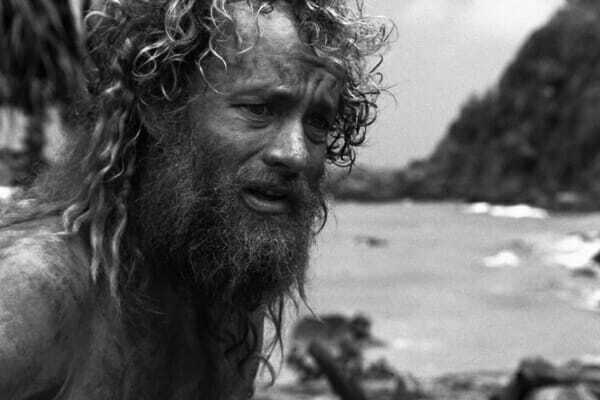 Just like the role that Tom Hanks played in the near movie titled “Castaway,” he unexpectedly got put in a very difficult predicament of being stranded on a deserted island (I know this may be a stretch for some of you to picture, just go with me here). In order for him to survive he had to gain some major survival skills with what he had available to him or he would have died. His journey in the movie is one that could easily mimic the great meltdown in the real estate industry. The smart folks in the business learned how to read and ride the wave, how to fish for themselves and what they needed to do on a daily basis so that they could not just survive but thrive. I hope that you are one of those types of people that works hard so you can truly grow and thrive. I think if you set yourself up every single day (as best as you can because we all have great days and then a few bad days too) to do your best and to bring your A game, then at the end of the day, you should see results and successes. Lord knows that change is hard and that when you work for ANY company that when there is a change that occurs, it can be a hard pill to swallow. Change used to be part for me, when I would fight it! I’m more open to it as a way of life and business today and I hope that you are or will become as well. It’s critical to stay up-to-date on changes that happen within the companies that matter to your work and your business. It may take some time and focus to read through and learn about policy changes but in the long run, it will help you keep your business running smoothly! No?! So just do it and be open to it happen because it will! Man oh man, this topic could be huge! I have seen just about every company that I’ve worked with back in the day (35+ companies in fact) and some that came along after I got out, they all changed their BPO and REO form platform or software. Since most of this business is online based and you are doing orders within each companies secure websites, you have to learn to use their site, period. When a company decides to change something or add a new form (because they gained a new client or the laws and rules changed in the industry) well it’s tough nuggies for you! Thankfully, most of the changes that have happened in the last few years specifically have been major steps forward because back in the beginning of the creation of a BPO, people had to do everything offline and then get actual photos developed, (remember the days of the drive-thru photo booths?) fax or mail back an order and then hope and pray that they’ll get paid for their hard work. The top 5 BPO mills (Clear Capital, ServiceLink and Pro Teck to name a few) have A-L-L changed their online form software and user interface. It’s a way for them to not only stay competitive, to being able to offer customized forms for their individual clients but hopefully it helps the folks doing the actual work both on the front-end (You) and the back-end (Their reps and customer service peeps). Custom solutions and computer-based interfaces aren’t cheap and these multi-million dollar companies have to keep evolving or they will get squeezed out of the industry. Now this is a cool topic because just as CoreLogic is a major player in the valuation industry, their BPO volume has been drastically cut for their own site a few years ago. They have had a lot of change in the last 2-4 years as well but the coolest is that they own Matrix. It’s the most popular and now most widely used Multiple Listing Service in all of the United States. It was a hard change at first, and even after doing mandatory classes, within a month of really using it on a daily basis, I saw how it was much better. I especially loved the map and radius feature and the “Cart” to help me do BPO searches lightning fast. So, it looks like CoreLogic shifted their focus from valuations (I know they do tons more too as well as a whole list of offerings under their companies umbrella: like Realist, which is another awesome service that I loved using when doing BPO work) in this case to taking over the industry with their Matrix MLS software. Kudos to them! Just like there are seasons for fruit and vegetables, weather and even for Mother Nature and all its creatures (to name a few obvious things that work in cycles) the BPO and REO industry works in cycles also. After having been in the business for just a few years, I started to see a pattern for when work and order volume would blow-up and when it would quiet down. I purposefully spread myself out through working for lots of different companies so that I could get a steady stream of work from a handful day in and day out and a trickle here and there from others. I noticed that some of the smaller companies that assigned fee-based BPO (this is what I am expert on) worked on the same cycles but just at a smaller scale. I know the times of year that were busy for me and then the ones that were slow. I used it to my advantage to both take some time off during slow times or get reacquainted with the companies that I liked best to see how my vendor score was, to thank them for giving me work and to remind them that I was available for any work that they needed filled within my market area, even orders that were hard to fill. For you, this is something that you will have to learn for yourself and when times are slow don’t freak out (if you are spread out well by being signed up with enough companies and have seen consistent volume), it just may be time to take a well-deserved break or to reconnect with the BPO mills that you enjoy working with the most! If you have any questions about the BPO industry, I highly recommend starting your journey here. I hope that you’ve enjoyed this blog just as much as I enjoy writing it! Please feel free to make a comment if you have any questions about what I touched on within this article. 1 Million Views on ActiveRain – Hitting a Milestone!